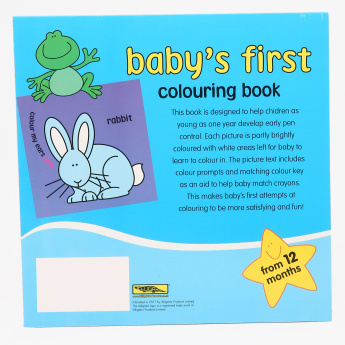 Baby's First Colouring Pad | Multicolour | Perfect activity book to introduce your child to learning and develop his interest in art. 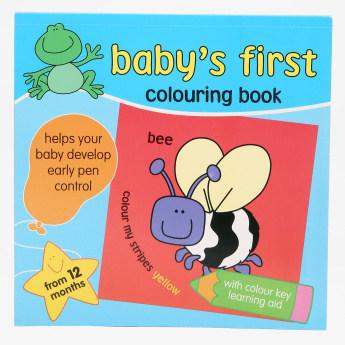 Help to develop your child's early pen control, color identification and motor skills with this creative activity book. 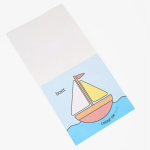 It introduces your little one to learning and helps develop an interest in art. This is a perfect pad for learning combined with fun. Feature 1 : Perfect activity book to introduce your child to learning and develop his interest in art. Feature 3 : Helps to develop the child?s early pen control, color identification and motor skills. Feature 2 : The book includes several coloring pages, along with a color key learning aid.